Bound volumes of the Pasadena Star-News (1886 -1924). 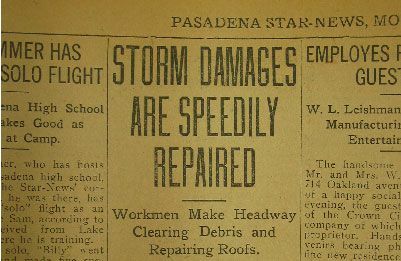 Due to the fragile nature of the volumes, we encourage researchers to first access the microfilmed copies of the newspapers, available at the main branch of the Pasadena Public Library. The library is indexing the newspapers into a database called the “Pasadena News Index” or “PNI." It is available online: http://www.ci.pasadena.ca.us/library/PNI/default.asp.